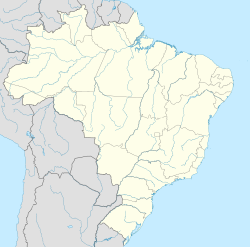 Jandira is a municipality in the state of São Paulo in Brazil. It is part of the Metropolitan Region of São Paulo. The population is 118,832 (2015 est.) in an area of 17.45 km². The suburban city is served by the CPTM with line 8. This page was last edited on 13 January 2018, at 22:32 (UTC).